Home Mechanical was established over 14 years ago and has been providing professional Heating and Air Conditioning services to homeowners and business owners ever since. Heating and air conditioning systems don’t run on a 9 to 5 schedule and neither do we. We are available 24 hours a day, 7 days a week. When you need help… you need help, not when it’s convenient for your service company. In our industry, people hate surprises. That’s why we work hard to avoid them entirely. We believe in no hassle service, no hard sells, no bait and switch- just simple, honest, upfront pricing before the project is done. Based on that, we ask for fair wages for a job that exceeds expectations. We charge by the job, not by the hour and we stand behind what we repair with our one year parts and labor warranty offer. If a replacement part is necessary instead of a repair, we will provide you with a written detail of what is involved upfront with the price to properly replace. With easy payment options including simple financing with easy terms, we make it easy to do business with us. At Home Mechanical, LLC, we believe in keeping our installation cost competitive and affordable. 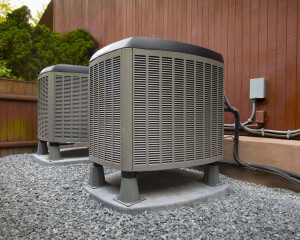 We make sure it is as convenient as possible for our clients to get the HVAC services they need. If you have concerns about affordability or would like to discuss our payment options, please contact our financial coordinator today. If you have any further questions about affordability for your heating and air conditioning system, please call us today!